Today, I’m the author of one of the best sales books of all time. In fact, I feel like a magician who is about to turn his back on the entire profession and go public by sharing how all the sleight of hand and tricks truly work. But I also know that authenticity (not hocus pocus) is key when it comes to selling products and services online. So let’s pull back the curtain for a moment as I show you what really goes into becoming a “big deal” online. Here’s an example: I recently found out my book LinkedIn Riches was named one of the “Best Sales Books Of All Time” by Book Authority. Believe it or not, LinkedIn Riches checks in at #29 on Book Authority’s list of the 91 best sales books of all time. In fact, I’m ranked higher than Zig Ziglar, Dan Kennedy, Og Mandino and some other legendary names in the sales and marketing space. Book Authority seems like a legit site (they’ve been featured on CNN and Forbes) and they explain that the book rankings are based not on personal opinion, but rather on cold, hard data they’ve culled from online book retailers like Amazon and others. I suspect that because LinkedIn Riches has had a long, steady stream of sales (5-10 books per day for the past few years) and hundreds of positive Amazon reviews from verified readers, it made the list based on that type of data and online signals. So now I can run out and claim that LinkedIn Riches is one of the best sales books of ALL TIME and I wouldn’t technically be wrong! 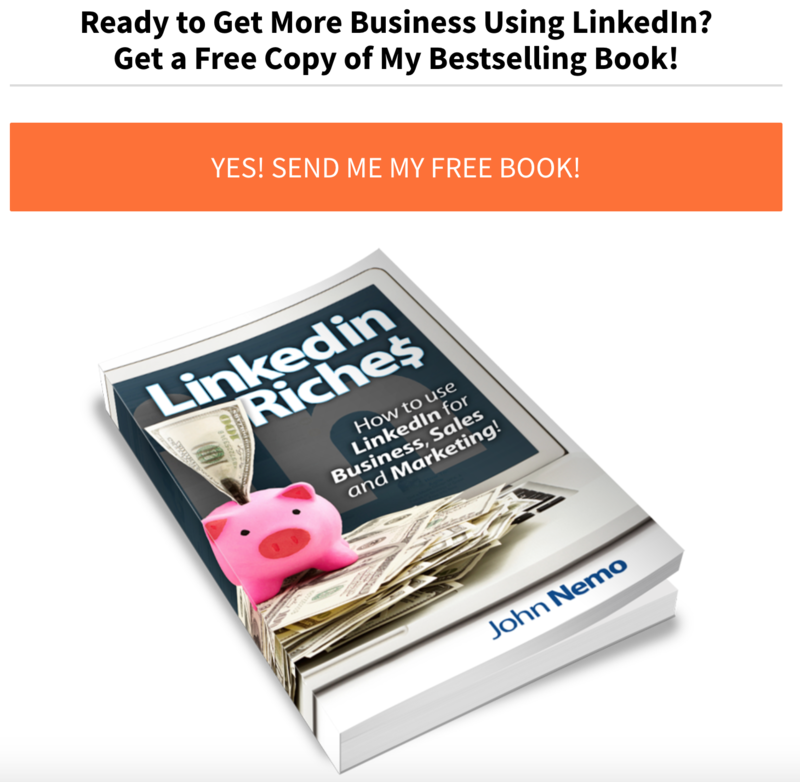 Now, let’s be honest – LinkedIn Riches is a fun, fast and easy read, and it will help you get started on discovering how to use LinkedIn to generate leads and add clients. But is it really up there with the greatest sales books of all time? But here is the key – oftentimes online, perception is reality. Now, here’s how the online sausage is really made (at least in this instance). Turns out Book Authority is actually a giant affiliate marketing site – every book on their hundreds of “best of” lists has an Amazon affiliate link, meaning Book Authority makes money if you click through and buy any of the books they suggest. Nothing wrong with that, of course, and I love affiliate marketing too, but needless to say Book Authority has a vested interest in compiling and promoting these books lists far and wide so that people go over to Amazon and make purchases. Not exactly the author equivalent of an Academy Award, but I digress. In reality, I make less than $1,000 USD per month in book royalties from LinkedIn Riches. In fact, I give the entire book away for free on the front page of my website, which many of you know! Now, in reality, LinkedIn Riches is nothing more than a really, really good lead magnet designed to introduce you to my unique approach to lead generation and selling on LinkedIn. It also leads into more free content that (ideally) will convince you to purchase my online training courses or 1-on-1 coaching services later on. Yesterday I was blobbing my boys on a raft in a Minnesota lake. Today I’m technically (at least according to Book Authority) the author of one of the greatest sales books in the history of mankind. In reality, I’m the same person, and I want to share some good news. People see through the hype, spin and hyperbole generated online with these types of honors or social status icons. One guy, in fact, sells an entire online product where you write and send a press release about yourself to an online news aggregator that publishes it as “sponsored content” on the local news websites of ABC, CBS and NBC TV affiliates. As a result, according to this guy and his online promise, you can now technically say that you’ve been “featured” on ABC, CBS and NBC. In reality, you just paid money to publish an online press release on a local TV news station’s website in the “sponsored content” section. And certainly, nobody from the national TV networks actually did an interview or story on you. However, you can technically claim you were “featured” on ABC, CBS or NBC. See how silly this all gets? And I’m not making this up, either. When I dig deeper, I notice those people never provide links to any actual news story or interview on those networks, or even a local TV station where they were featured. Again, anyone can claim authority or find ways to manipulate their way into acting as if they’re a “big deal” online. But eventually everyone gets exposed. In reality, your content is what will win loyal clients and keep you in business long after online magic tricks and novelty gimmicks fade away. That’s why I told you the whole backstory to me now being the author of one of the best sales books in human history (🤣) and the reality of what it’s really about. It’s also why my upcoming book and online course is all about utilizing content to create and demonstrate the type of authority, expertise and personality that makes you irresistible to potential clients and customers. In reality, your content (blog posts, podcasts, videos, social media posts, etc.) is what will make or break your business online. And that should give you great encouragement and enthusiasm! Here’s why: The gatekeepers and regulators are gone. 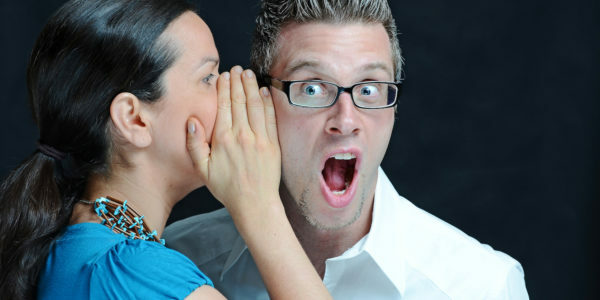 Today, anyone can create, share and leverage content online for almost no cost. Even better, you can utilize content 24/7, automating much of the process and removing the need to do cold calls, 1-on-1 coffee meetings and other outdated (and often unenjoyable) lead generation methods. I’ll get into all that in due time, once the new book and course come out. Wow, thanks so much Robert – I appreciate the kind words!!! 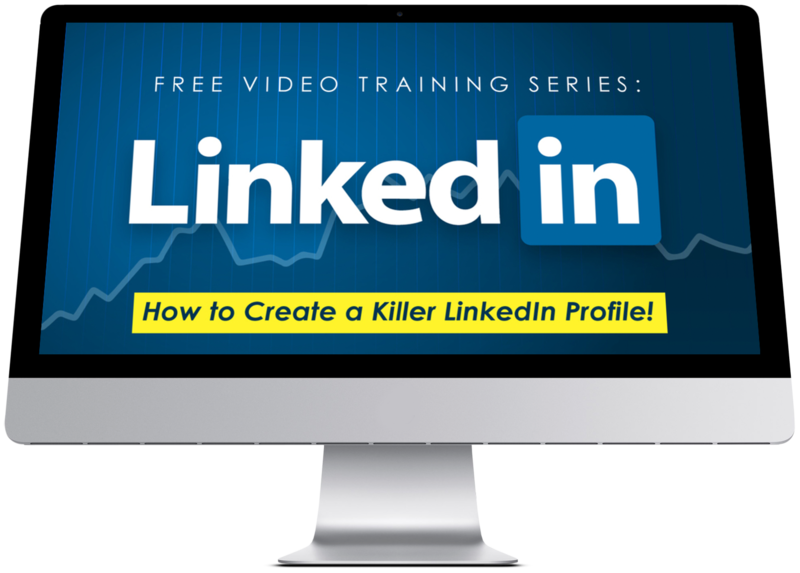 How To Create a Killer LinkedIn Profile! YES! SHOW ME THE FREE VIDEOS! Where Should We Send The Free Video Tips? YES - SEND ME THE FREE VIDEOS!